Preheat the oven to 400°F and spray a baking sheet with oil. Add the broccoli to a microwave safe bowl and microwave for 2 minutes covered with a wet paper towel. Mince the broccoli as small as you can and add it to the rest of the ingredients in large bowl. Using a heaping tablespoon of the mixture, roll it in your hands before pressing down on the top and bottom of the ball while pressing in on the sides and rotating to make a "tot" shape. 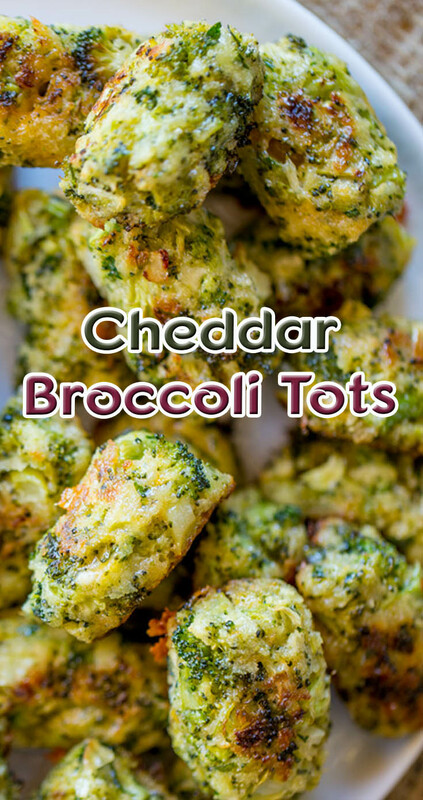 Place onto the baking sheet and spray the tops of the tots with an additional bit of canola oil spray. Bake for 7 minutes, turn the tots and bake an additional seven minutes.